An all new achievement in a full-size GPS+WAAS performance package, with beautiful new sunlight-readable color display at a very attractive price! Compatible with optional plug-&-play Navionics® Gold, Classic and HotMaps™ electronic charts including Hotmaps Premium. Package includes 3500C, external GPS antenna, power cable, mounting gear. We highly recommend Navionics Hotmaps Premium maps for freshwater lakes or Navionics Gold Charts for Great Lakes and coastal waters. Need a matching fishfinder? We recommend the Lowrance X102C. 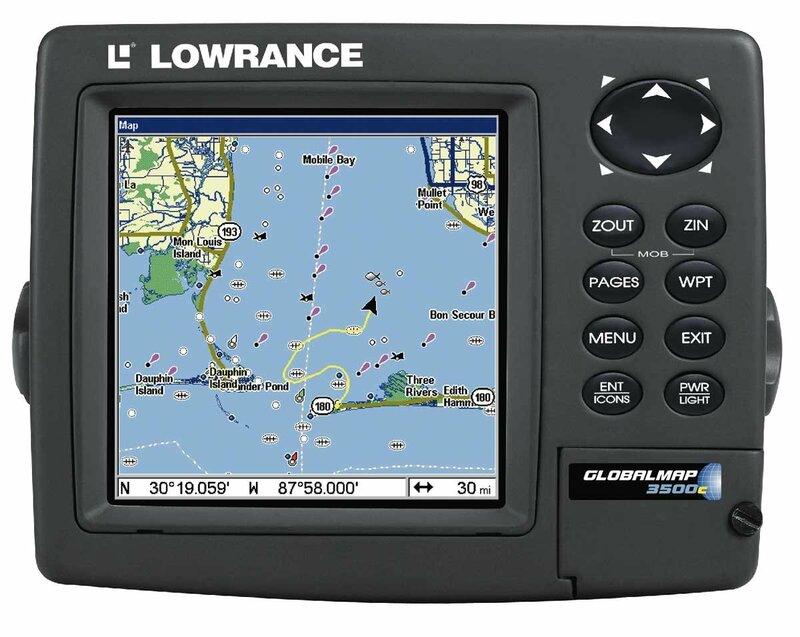 To order the Lowrance GlobalMap 3500C Color GPS, add to cart. Add to Cart or email jollyannmarine@gmail.com for a price quote. Add a Navionics map and save! Email for details.